Prudential Retirement delivers retirement plan solutions for public, private, and nonprofit organizations. 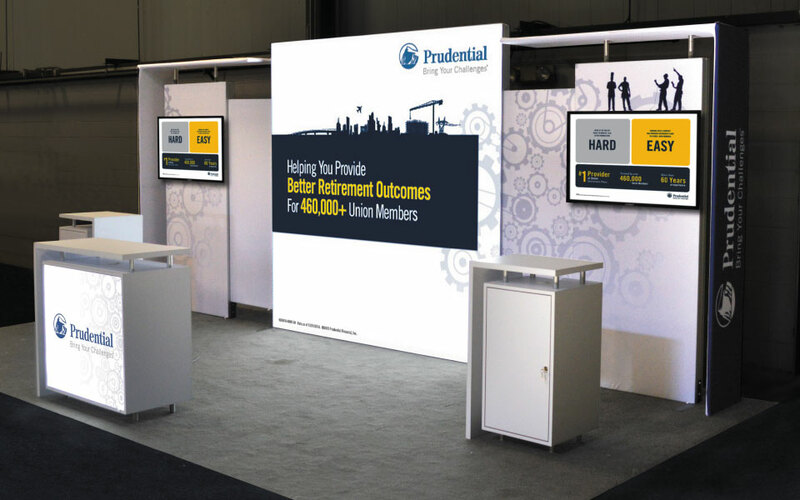 They required a trade show booth with large graphics for brand messaging while also being inexpensive to setup and ship around the country. DisplayCraft’s hybrid display solution consisted of a combination of modular and custom components that were easy to install and dismantle. 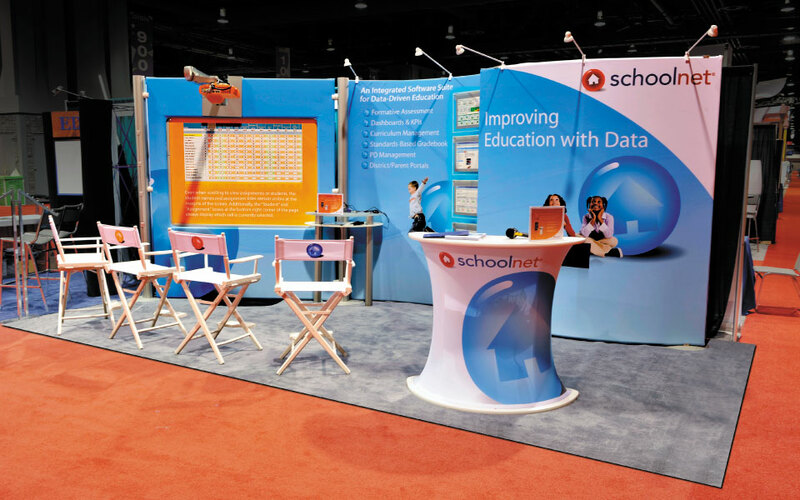 A central backlit fabric graphic created a dynamic presence on the show floor. Large monitors provided additional content that was easy to adapt for event specific messaging. 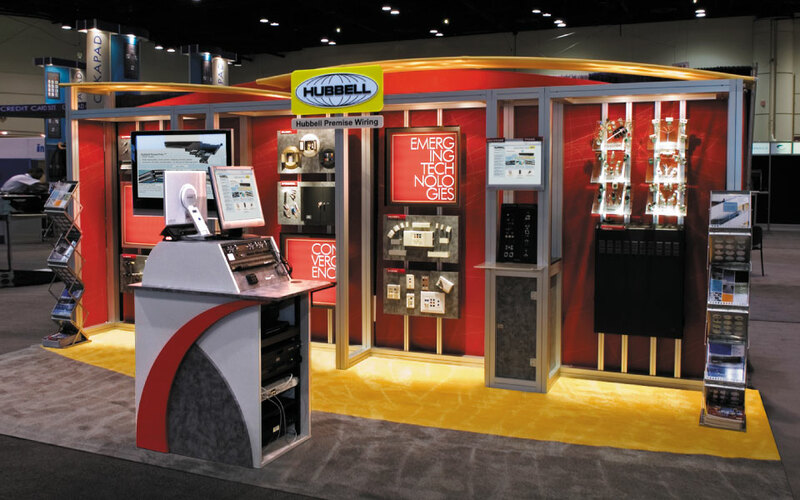 The custom cabinets shipped assembled minimizing labor on the show floor. 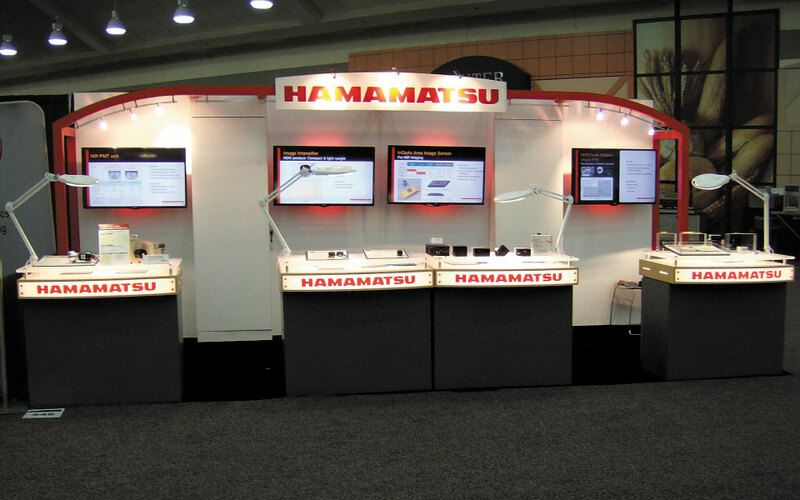 Hybrid displays are a great alternative to traditional modular or portable display systems. 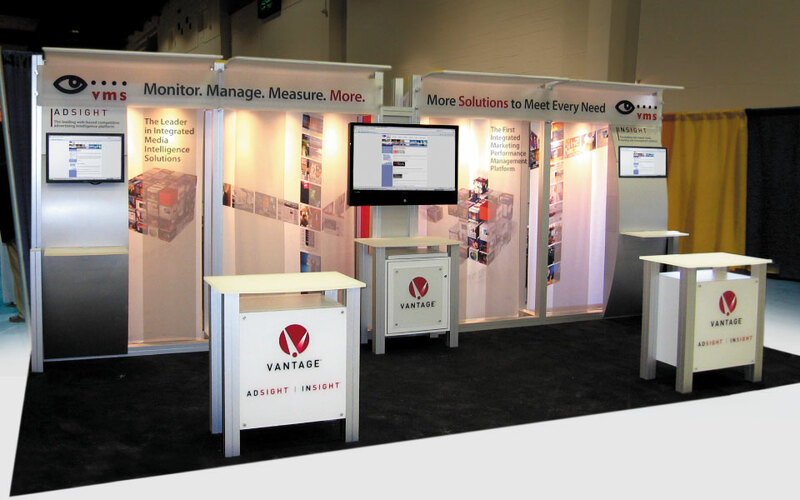 They are positioned perfectly between a typical mural backwall and custom exhibit solution. 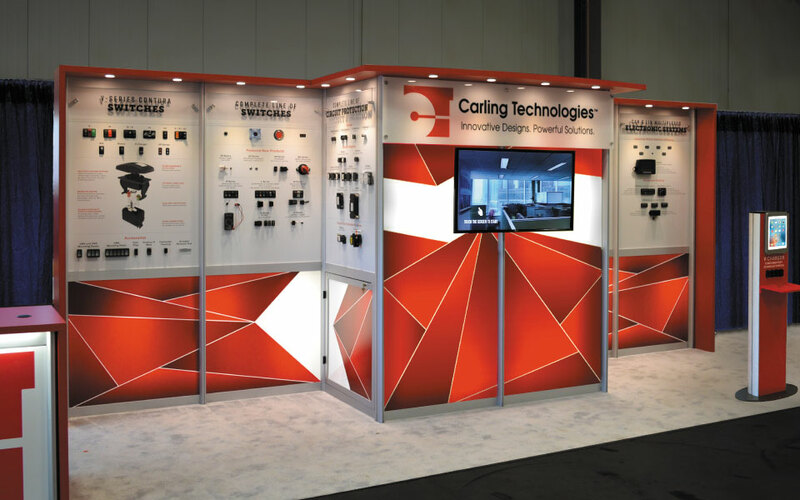 A hybrid display gives the look and feel up an upscale custom exhibit, while providing the cost savings of light weight modular systems. "It looks GORGEOUS!!!! I am so excited!!! I heard that there were so many people in the booth that we had to get an additional lead capturing machine to catch them all!" Joanne I. Brown, Applied Robotics, Inc.
"They get it because they connect to their clients. They understand what I’m looking for. I’m a big fan of theirs. They’re a great outfit." "Thank you and DisplayCraft for a job well done with our booth at AHR. As we mentioned this was a much better experience for us than with our previous trade show service. Thanks again and look forward to working with DisplayCraft on our next show."